Listen closely, your life depends on it. 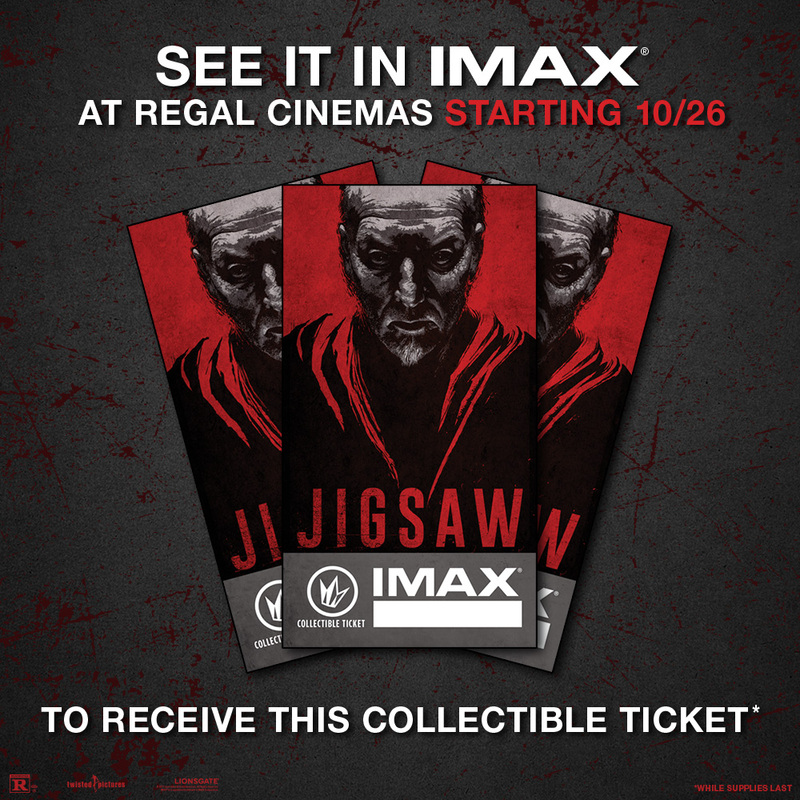 When you see Jigsaw in select IMAX theatres on October 26th, you’ll receive these chilling giveaways. 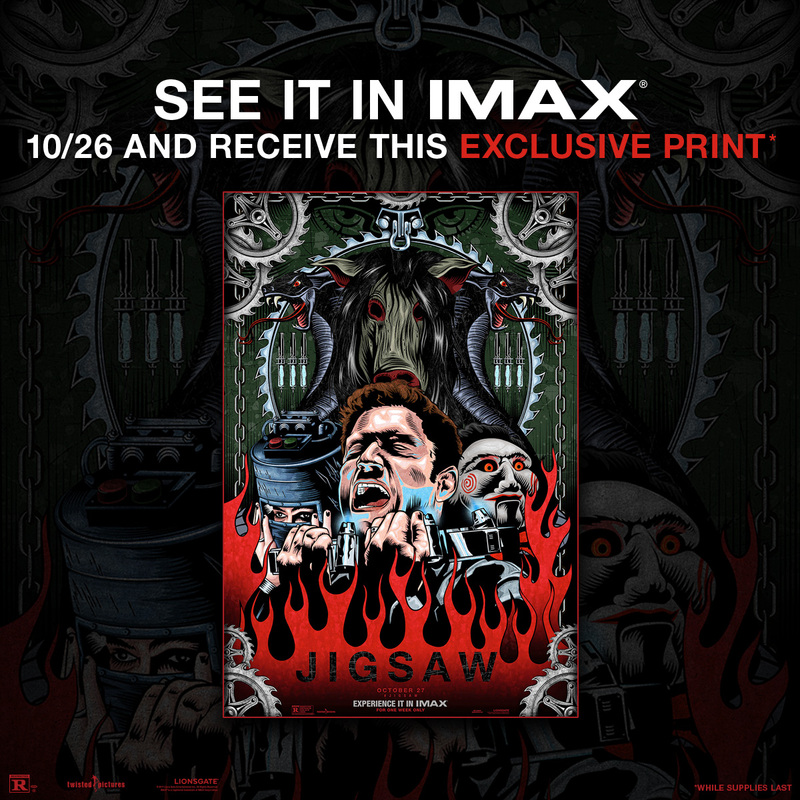 Fans who experience Jigsaw in IMAX at Regal Cinemas starting October 26th will receive this exclusive collectible ticket, while supplies last!